What's amazing about Liz Cheney's victory is the degree to which had to undo the damage done by her *other* congressional bid. Fourth time's the charm of Liz Cheney? 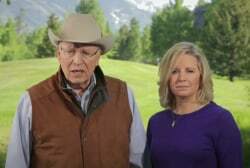 Poll: Liz Cheney on "wrong side of history"?